Click/tap here to find the best Nampa, Idaho home inspector for your needs! Premier Property Inspections serves the Boise, Meridian, and Eagle areas of Idaho with the highest quality inspection at an affordable price. Norm Wild, a qualified and experienced home inspector, is eager to help inspect your home or property. We are certified professionals. We spend quality time inspecting your home and we off a walkthrough at the end. In addition, we also perform all industry tests including: mold, radon, lead, asbestos, and water sampling. Our home inspection reports easy to read and we get them to you within 24 hours. Green Apple Home Inspections mission is to provide the finest service to homeowners, prospective buyers, builders and realtors. My goal is to offer many different levels and complete assessments of home inspection, at competitive prices and in a timely manner. You will find that I will be a valuable partner who has the integrity, responsibility and sincerity to assist you. Consider these qualifications as you are contracting your next home inspector for the most valuable asset in our lives, our homes. As the foreman of a 2003 Parade of Homes winning builder, I have managed subcontractors for new construction and remodeling. My complete understanding of the best practices in construction and State building codes enhances the thoroughness of my work. In addition, I have recently obtained my diploma from the most respected nationally known home inspection school. The professors 17 years of experience, led the home inspection profession to later establish ASHI (American Standard of Home Inspection) and NAHI (National Association of Home Inspectors). This has enhanced my working knowledge of home inspections and Im looking forward to helping you. Finally, as an entrepreneur, I have the desire to break the mold, venture out on my own, and improve a product or service that is needed. It makes living and working exciting and challenging. This is what I am working to accomplish. I invite you to accept my offer of a better educated, more experienced and goal oriented, trustworthy service. You can be ahead of the others by calling Green Apple Home Inspections at . 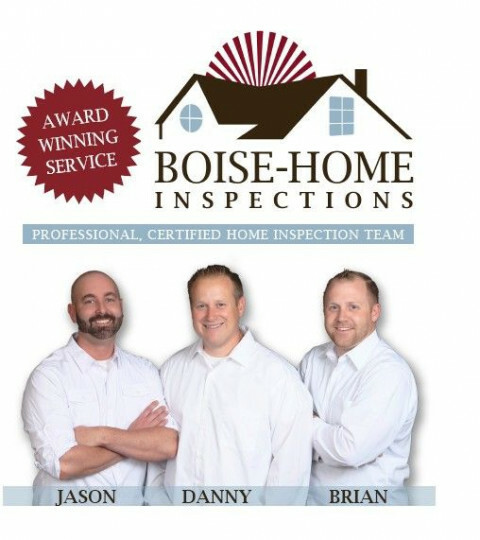 Bent Nail Home Inspections, LLC is a small, locally-owned company dedicated to providing high quality home inspection services to home buyers in Boise, Meridian, Eagle, Nampa, Caldwell and the surrounding areas. Bent Nail Home Inspections has no ties with any other business. You get a completely honest and objective opinion about the condition of the house. 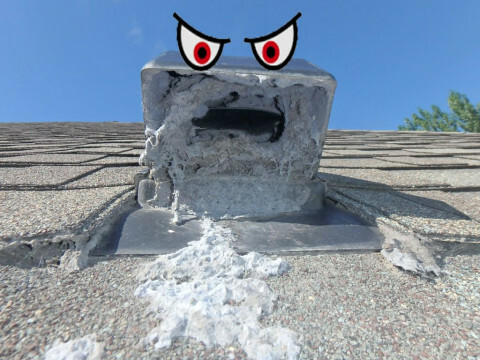 I treat the home inspection as an educational process. I encourage you to attend the home inspection so you have the best understanding of the house. Your questions are welcome at any time during or after the home inspection. I want you to feel extremely comfortable with your investment. I own the company, and I do all the inspections. I have been doing inspection in the Treasure Valley since 2006, and have 15 years of experience in commercial/industrial safety inspections. We have completed many different types of home inspections. Every inch of the property is inspected including all structural, electrical, air conditioning system and plumbing. We will notify the client of any item that is noted. We provide quality color photos with every inspection. You will understand every item by the time we are finished. I am a member in good standing of the following Organizations. Full service home inspection services. Serving: Boise, Meridian, Eagle, Nampa, Caldwell, Middleton, Garden City, Kuna, and surrounding areas. AAA Integrity Certified Professional Inspections ! INTELLIGENT CERTIFIED PROFESSIONAL INSPECTIONS & REASONABLE PRICE ! Byron Scott InterNACHI Certified Professional Inspector, Click (Send Inquiry) Link ! Affordable ! Certified Professional Inspections by Byron Scott, InterNACHI Certified Professional Inspector ! # NACHI12061602. Trained & Certified by InterNACHI the (International Association of Certified Home Inspectors), . Also a IAC2 Certified Mold Test Inspector! Besides Years of InterNACHI Certified Professional Inspection Training ! As a Certified Professional Member to Maintain my Professional Certification with InterNACHI ! I Must Complete Many Hours of Continuing Education Courses Each Year, on Subjects pertaining to Various Types of Inspections, Updates on New Procedures & Materials and Pass a Yearly InterNACHI Exam ! Adding to my Experience, I have 25+ Years. as a Licensed Construction, Remodel, Repair & Painting Contractor ! I am Familiar with All Types of Construction Incl. Homes, Commercial, Mobile Home & Modular's, I have Considerable Knowledge of Electrical, Plumbing, Mechanical Systems, Structural & Aesthetic Damage Problems, Moisture Intrusion, Roof Inspections, Attic & Crawlspace Inspections ! I Perform a Comprehensive 11 Page Very Legible Written Inspection Report with Pictures of Pertinent Items ! This Report can be Given to a Client who is Present for a Walk-Thru at the End of the Inspection, or a Copy can be Sent with Pictures within 24hrs. A Standard Home Inspection will entail about 4 hours. I am Happy to spend an Additional Hour at the end of the Inspection Answering any Client Questions ! Price will be based on Square Footage, Aspects of Home & Type of Inspection Performed! Payment of Fee will be accepted in Cash or Certified Bank Check ! I Serve Western Idaho & Eastern Oregon within a Radius of 100 Miles of Weiser, Idaho ! Contractors Lic. # RCE14969, Licensed & Insured. Besides Certified Professional Home Inspections !